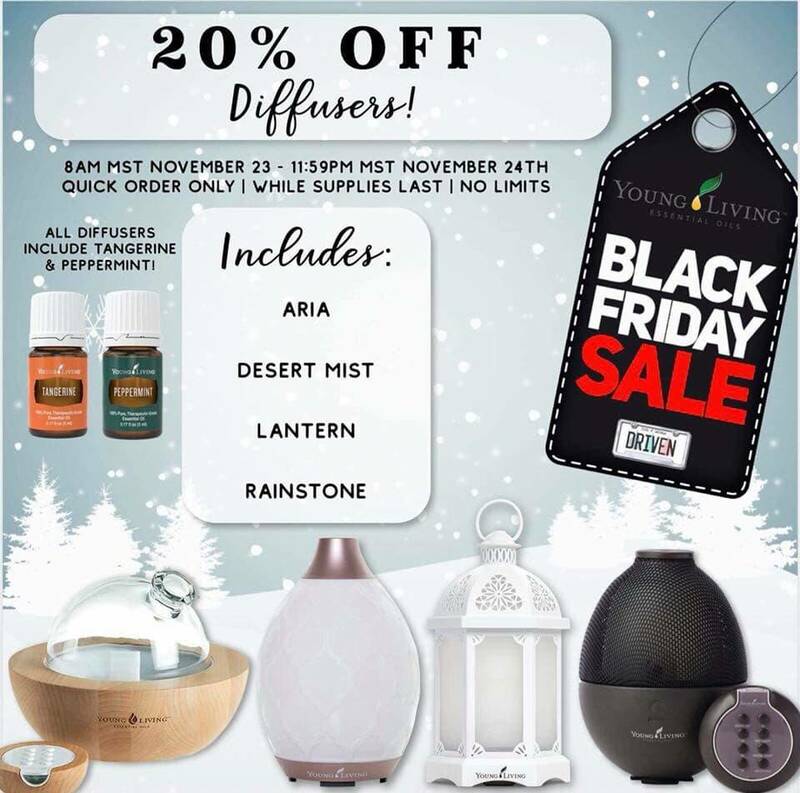 Are you ready to see the Black Friday deals?! They always spoil us on Black Friday but I have never ever seen anything like this! 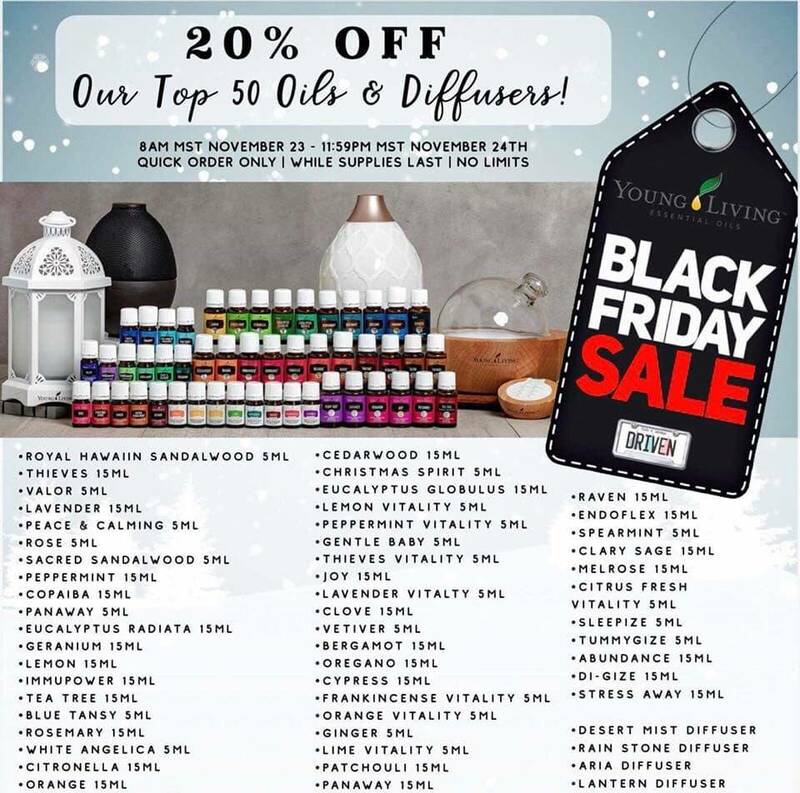 That's over FIFTY discounted products! WHAT?! 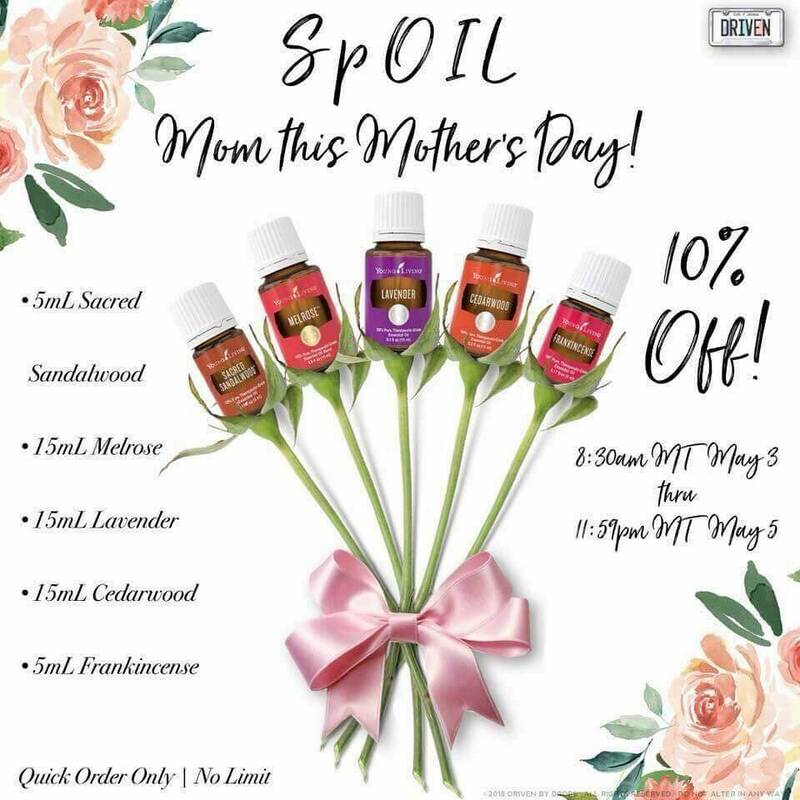 Each diffuser comes with a 5 mL of Peppermint and Tangerine and some of the discounted oils are ones I have never seen on sale before... Rose, Blue Tansy, Sacred Sandalwood, Bergamot, Thieves, PanAway, Copaiba, KidScents… Such great oils!! You don't want to be late on these... they WILL sell out quickly! > Items will already be discounted. No code is needed. > You cannot use ER Points for sales but you will receive PV for the items you purchase. > Starts on Friday 11/23 at 8:00 AM MST. > Ends on Saturday 11/24 at 11:59 PM MST. > No Limits. While Supplies Last. > Discounts will be on wholesale prices for members and retails prices for retail customers. They are also releasing a BRAND NEW collection of rollers that includes the coveted RutaVaLa that you cannot purchase on its own. It's well loved for getting anyone and everyone to sleep in so many homes! 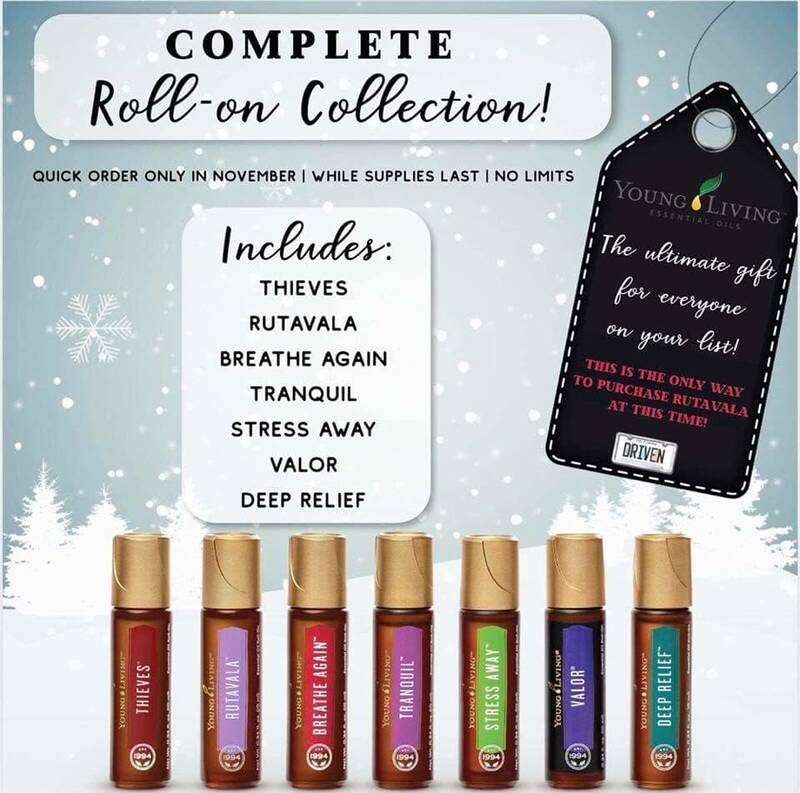 The Roller Collection will include Thieves, Stress Away, RutaVaLa, Valor, Breathe Again, Deep Relief and Tranquil for just $199.75 wholesale. Full PV! And, yes! This product is sticking around and will be available on ER starting 12/1. EXTRA NOTE - Cyber Monday deals are coming soon, too! 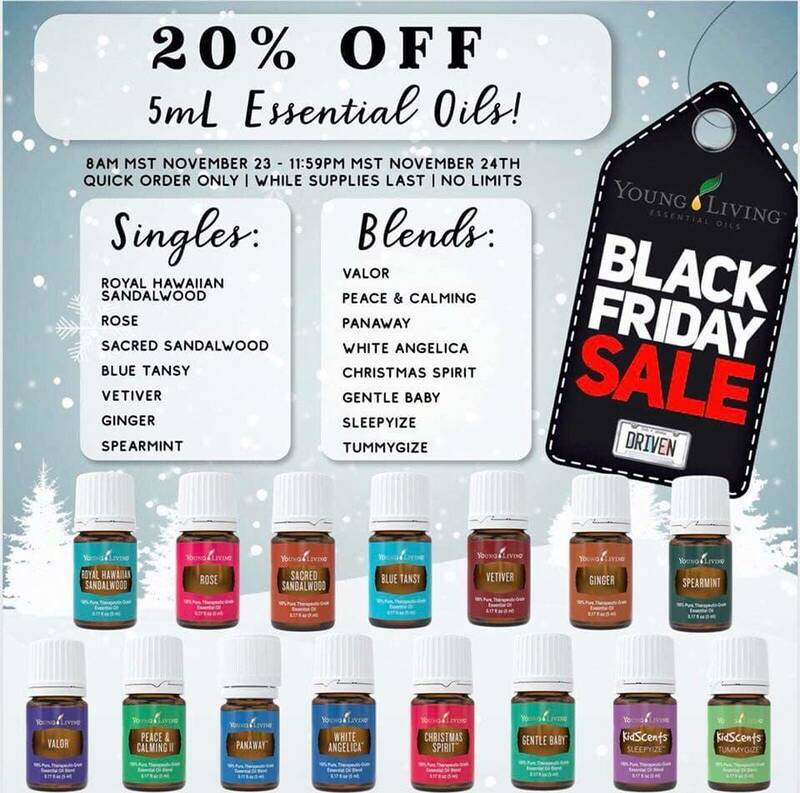 I will be traveling so I am not sure if I will be able to reach out to let you know the specials so be sure to be checking the Believe, Lemon and Lavender or The Frank and Valor Hang Out Facebook pages or if you are not on Facebook you can check on https://www.frankandvalor.com/black-friday-cyber-monday-2018 to find out what the deals will be! Happy Thanksgiving! I am thankful for each and everyone of you! Are you going as crazy over there, as much as I am over here? The temperatures have dropped and the holiday season has officially started! Literally, overnight the pumpkins are gone and the holiday decorations are on every shelf in the stores! 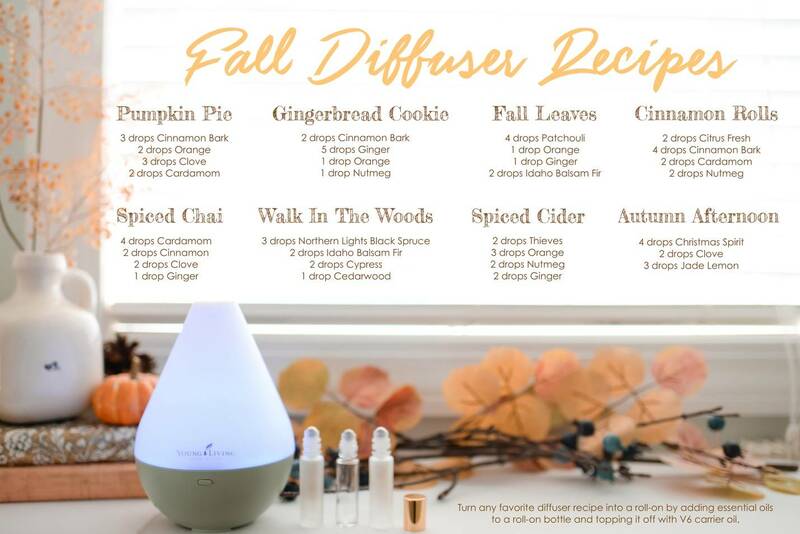 Cinnamon Bark is getting diffused daily here to keep the fall spirit alive just a little longer. 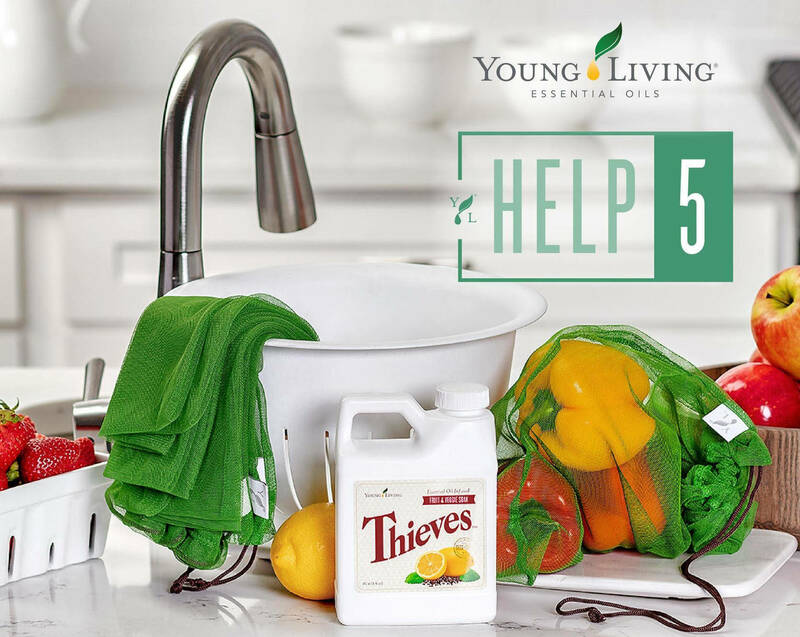 Thieves blend from your PSK is obviously an easy option but my new favorite combo is to diffuse is 4 drops of Vetiver, 3 drops of Grounding and 2 drops of Northern Lights Black Spruce. It smells just like a camp fire. 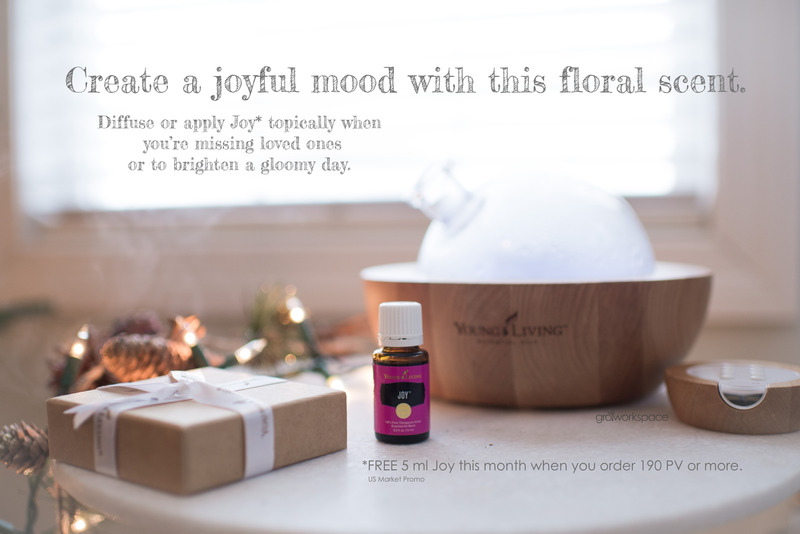 Give it a try if that is a scent that you enjoy! Ok, let's get right to it! If you are new, I send out a monthly newsletter with important info for the month. Star or flag this email so you can reference back to it all month long! This is what I will cover. 1) YOU'RE INVITED! 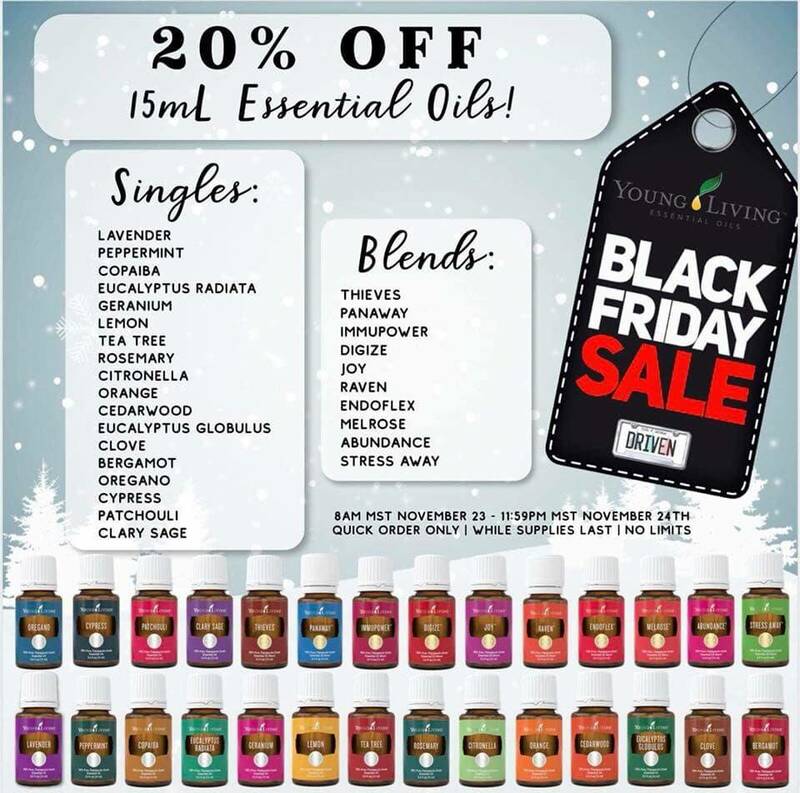 GROworkspace - an oily company who supports Young Living business builders - is celebrating their one year anniversary with a HUGE virtual birthday bash on November 17th and 18th. If you love your oils, come party with us and enjoy two straight days of oily education and awesome giveaways filled with YL products, oily resources, workshops, and more. Don't miss out on exclusive announcements and new contest details! 2) New members can now use their Premium Starter Kit as their first Essential Rewards order and receive 10% back in ER points. This Open House will be throughout the weekend so people can pick a time that suits them. Friday is from 7:00pm to 9:30pm. Saturday is from 10:00am to 4:00pm and from 7:00pm to 9:30pm and Sunday is from 2:00pm to 6:00pm. If you need to come at a different time than offered, private message her. She will post more information about the Make & Take this week and will need to know how many want to do this craft so I can be sure to have enough supplies on hand. 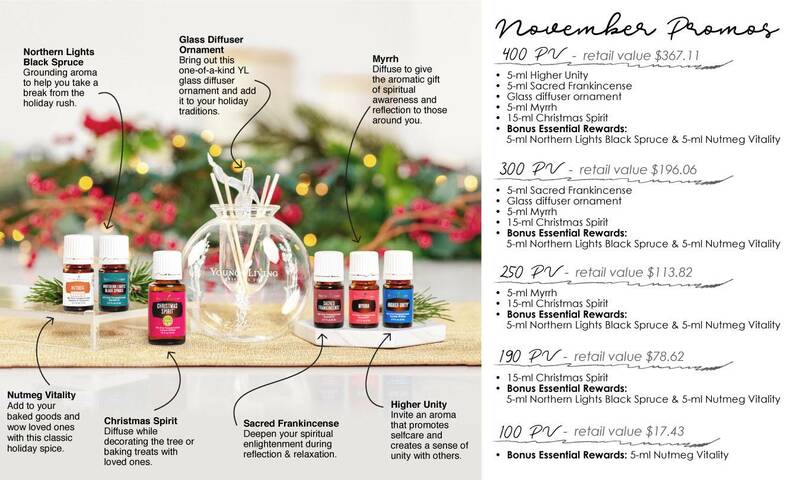 I will be sharing gift giving ideas in many price ranges and have many YL products available to view. Bring family, friends and neighbors to share in the fun. 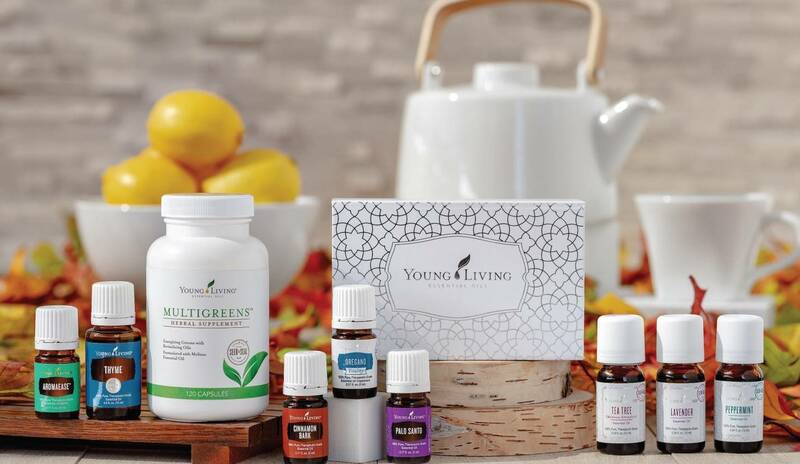 If you are curious about essential oils plan on attending to learn more about how to limit toxins in your life. If you are already an experienced oiler come out and lets talk oils together. Come by and check out the Holiday Catalog and see some of the items in person. You will have the option to make some oily gifts if you choose. ($ 5 cost to cover supplies). Hope to see you there! 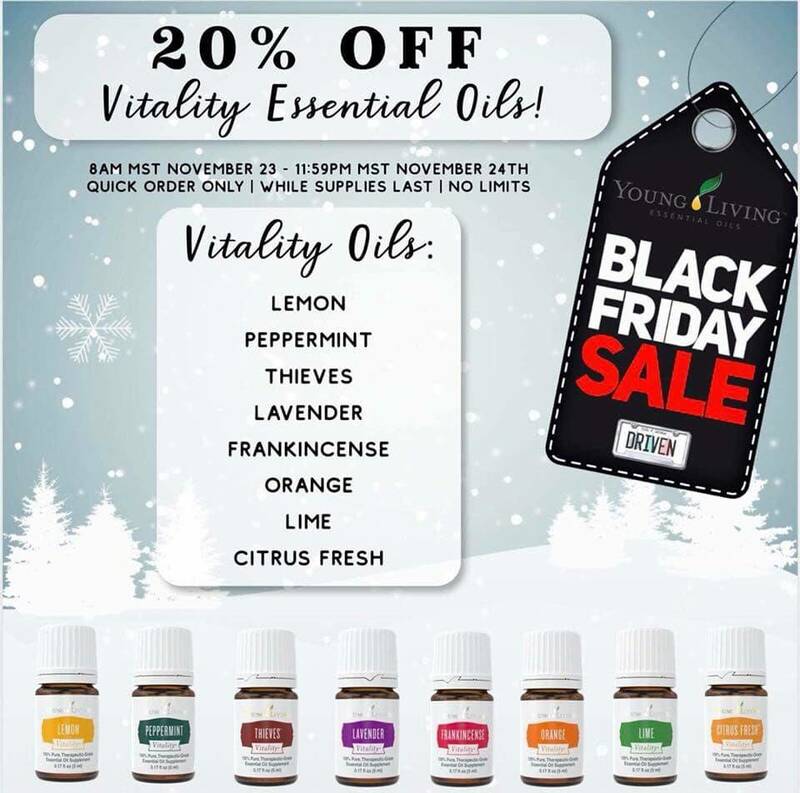 The Vitality line is the perfect way to turn holiday dishes into something magical and beneficial for your health! 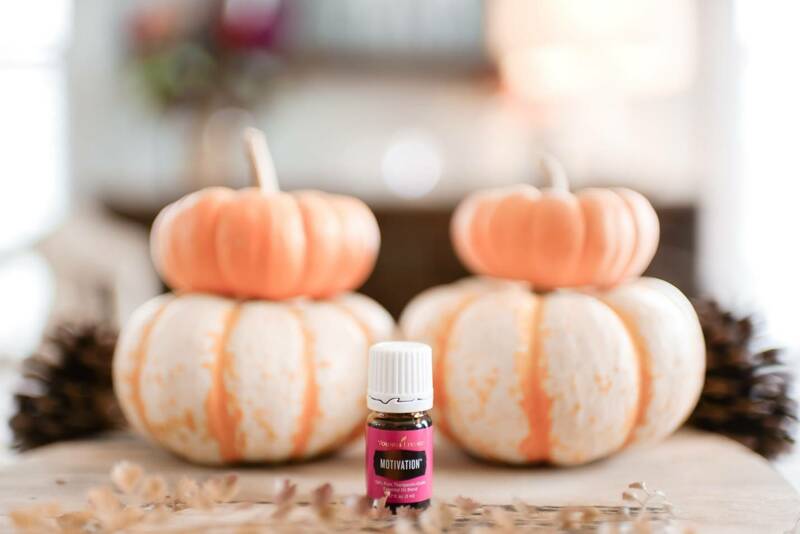 Use Pinterest and search "Fall food recipes with essential oils." Try making the dairy-free coffee creamer! Combine all ingredients and blend until smooth. store in an airtight container. shake well before using. Process your ER order ASAP! Holiday Catalog items are available NOW to add to your ER order! 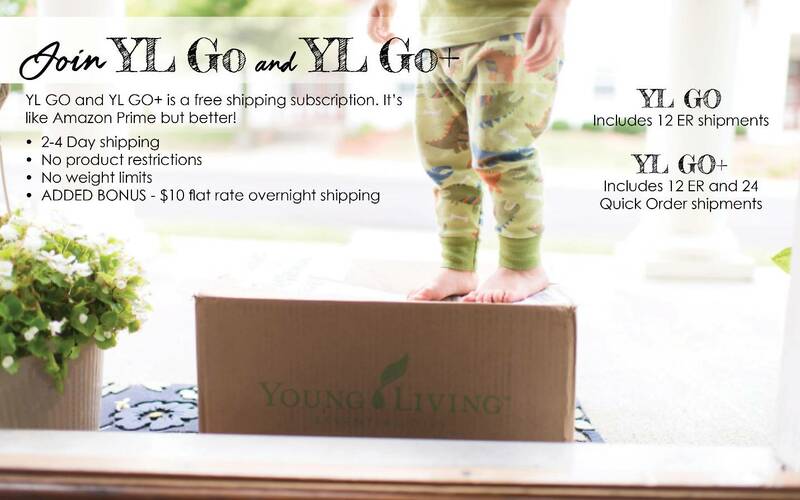 If it is your first month and you order 100PV, you will get $10 back in ER points. If it is your fourth month on ER, you will get $20 back in ER points for a 100 PV order. Ordering ASAP will ensure you get what you want, not only on Holiday Catalog items but also on any products you plan to give as gifts or need to get for yourself. YL members go CRAY CRAY in giving YL as gifts! Things do go out of stock with all the extra holiday ordering and I don't want you to miss out. Newbies, TRUST ME! 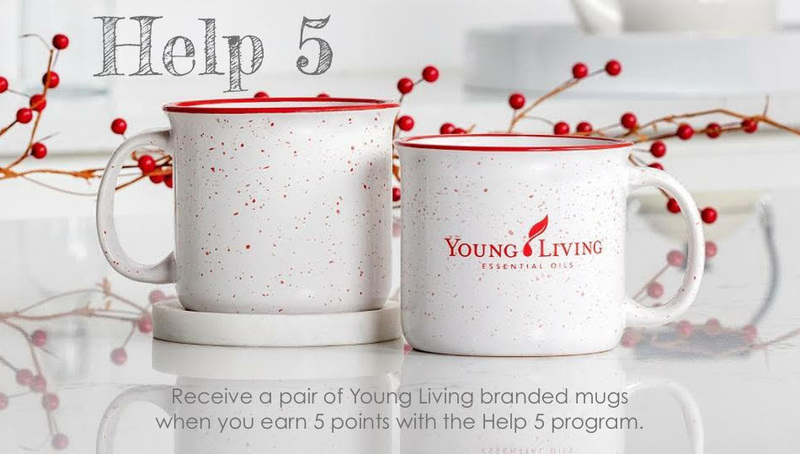 Check out the Holiday Catalog items HERE! 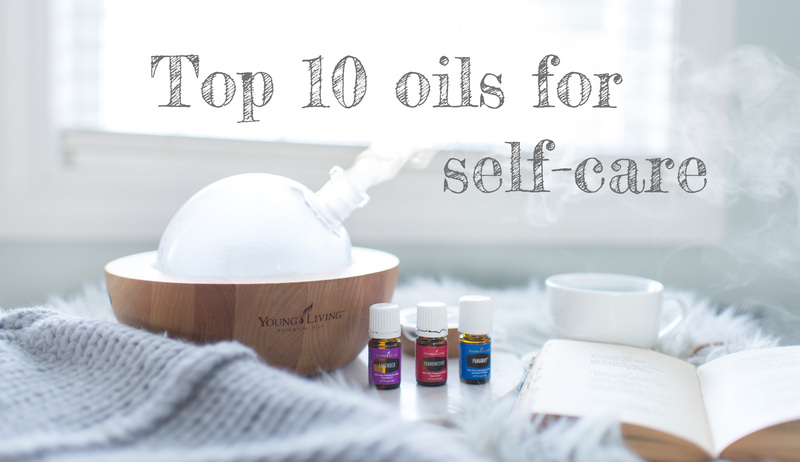 This oil will help you feel grateful for all you have in life. Use it every day this month to create a positive attitude of gratitude. When you are grateful for the things you have, your entire attitude changes and the way you approach your work or the people around you become more effective and loving. If you want to create MORE abundance in your life, use your Gratitude oil every single day. Diffuse 4-8 drops or apply a drop to your wrists and inhale in the morning. To make this even more effective, write down three things every day you are grateful for and why. 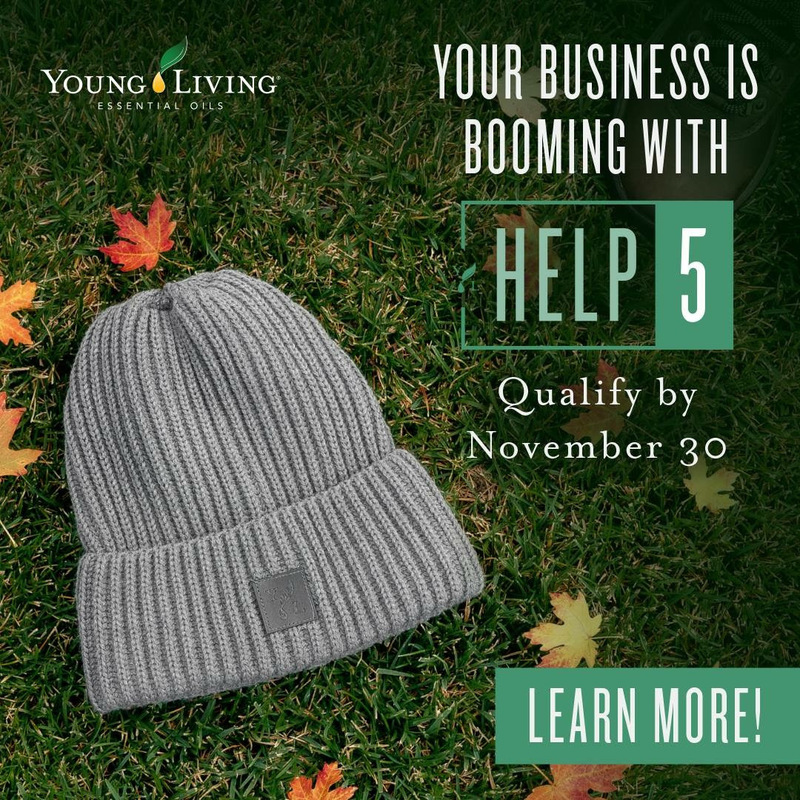 When you earn 5 points, Young Living will send you the cutest gray YL-branded knitted beanie. Its acrylic/wool blend and universal fit make it a cozy fit for the cold months ahead. I am thankful for al of you and looking forward to seeing you this month!